On Tuesday evening, 25 November 2014, an engineer of NOW TV news, Li Siu-lung, was subdued by police officers for allegedly assaulting a police officer while he was carrying out reporting duties with colleagues in Mong Kok. He suffered multiple injuries to his head and body during the process. After more than 24 hours of detention, Mr Li was released unconditionally, but the police have stressed it retains the right to prosecute in the future. Since the Occupy Movement started, some police officers have been antagonizing the media. Despite repeated dialogue between various media organizations and senior police management, the situation has not improved. It has, in fact, worsened with the recent arrests and assaults on reporters. These arrests and assaults are a suppression of a free press. 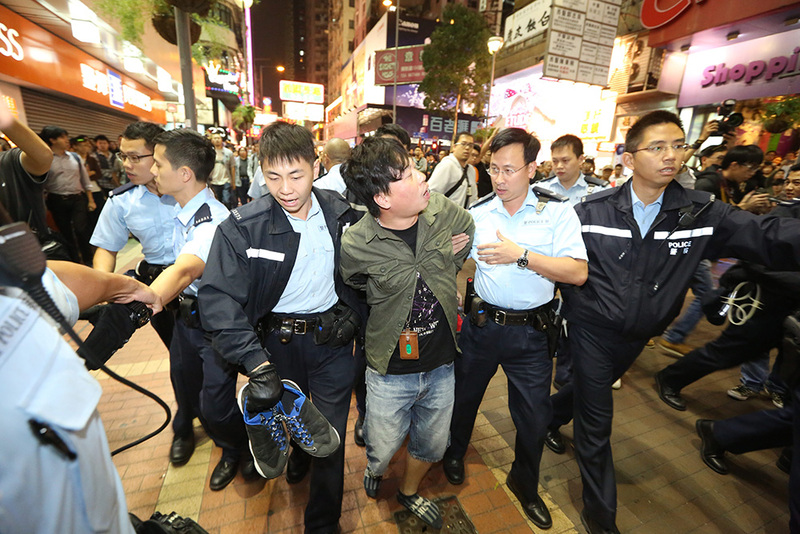 Yesterday, police arrested a cameraman of Apple Daily for allegedly assaulting a police officer. We believe that there will be more confrontations between the police and the public in the near future, and journalists will face even greater threats. We can no longer look on and do nothing.